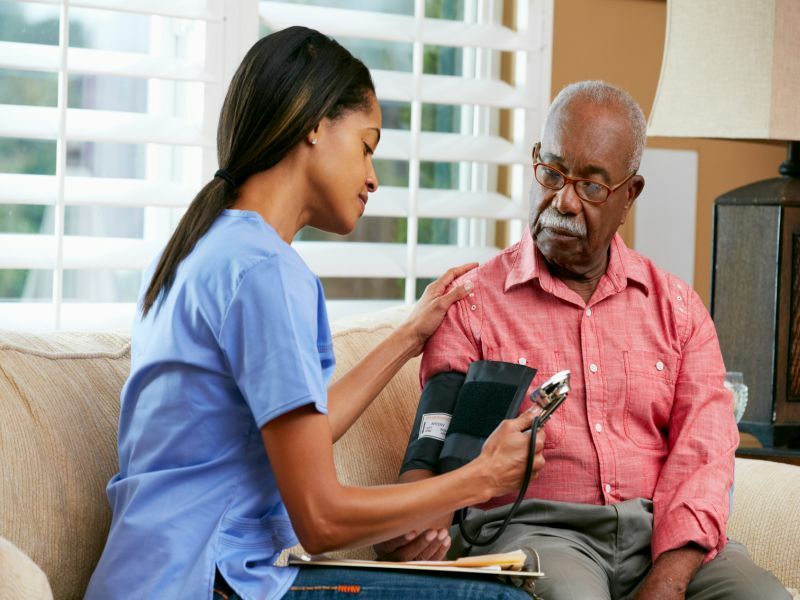 That's the conclusion of a study that analyzed the records of more than 3,500 patients with elevated blood pressure treated in the emergency department of Newark Beth Israel Medical Center in New Jersey, which serves mainly black communities. Half of the patients had severe increases in blood pressure. Patients who were male, 65 or older, or who had diabetes, chronic heart or kidney disease were at highest risk of developing extremely high blood pressure. These patients were also at a significantly higher risk for developing kidney failure, stroke, and a bleeding (hemorrhagic) stroke. The study also found that low hemoglobin is a risk factor for severely elevated blood pressure. "Anemia is common in people with high blood pressure, especially in those who have diabetes or kidney disease. Low hemoglobin was found to contribute to a severe rise in blood pressure, but further studies are needed" to fully explain the association between the two, said study co-author Irina Benenson. She's an assistant professor at Rutgers University's School of Nursing in Newark. One-third of American adults have high blood pressure. Blacks have the highest rates and tend to develop it earlier in life, but they also have lower blood pressure control rates than other racial or ethnic groups, the researchers said. "Extremely high blood pressure rates are an alarming and significant health concern for the African-American population," Benenson said in a Rutgers news release. "Developing targeted interventions to control for the major risk factors [diabetes, chronic heart and kidney disease] may reduce the risk of drastic increases in blood pressure, and thus reduce the risk of organ damage as a result," she added. Stress caused by job and housing struggles, social isolation and racism could also be factors in the higher rates of blood pressure in black Americans, Benenson said. "These factors occur more often in African-Americans than in other racial groups, and it is proposed that chronic stress can activate stress hormones that constrict blood vessels and elevate blood pressure," she noted. The study was published recently in the journal Blood Pressure.